Students and teachers tend to sit in one position for extended periods of time especially as the children get older. Hang this handy free printable with classroom stretches to remind everyone in the classroom to take a break and stretch your muscles. Remember to complete each stretch to the right and to the left. 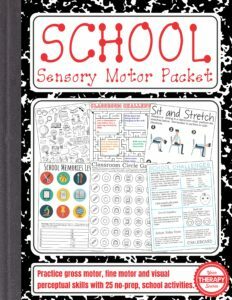 This free printable is from the School Sensory Motor Packet. This digital download includes 25 games, activities and puzzles to encourage playtime, visual perceptual skills, fine motor skills, and physical activity all with a school time theme! 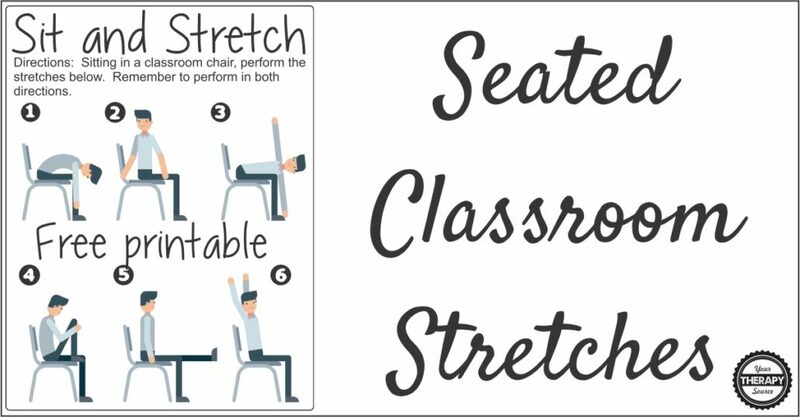 DOWNLOAD YOUR FREE SEATED CLASSROOM STRETCHES PRINTABLE.